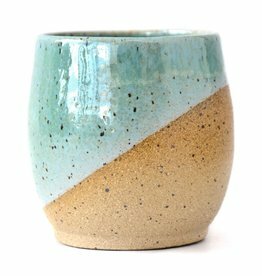 This handmade calico ceramic cup is sized to perfectly nestle in your hands. Enjoy your favorite hot or cold beverage in rustic style. 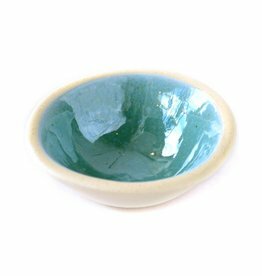 This small ceramic bowl is hand built, so each one is a little uneven and charmingly wonky.